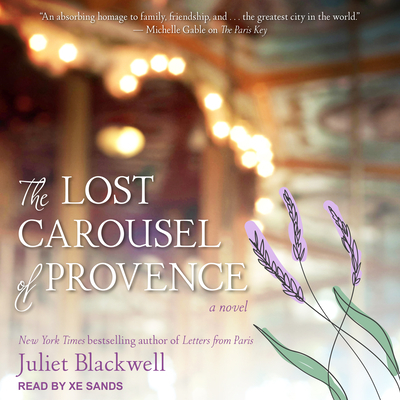 An artist lost to history, a family abandoned to its secrets, and the woman whose search for meaning unearths it all in a sweeping and expressive story from the New York Times bestselling author of Letters from Paris. Long, lonely years have passed for the crumbling Ch�teau Clement, nestled well beyond the rolling lavender fields and popular tourist attractions of Provence. Once a bustling and dignified ancestral estate, now all that remains is the ch�teau's gruff, elderly owner and the softly whispered secrets of generations buried and forgotten. But time has a way of exposing history's dark stains, and when American photographer Cady Drake finds herself drawn to the ch�teau and its antique carousel, she longs to explore the relic's shadowy origins beyond the small scope of her freelance assignment. As Cady digs deeper into the past, unearthing century-old photographs of the Clement carousel and its creators, she might be the one person who can bring the past to light and reunite a family torn apart.